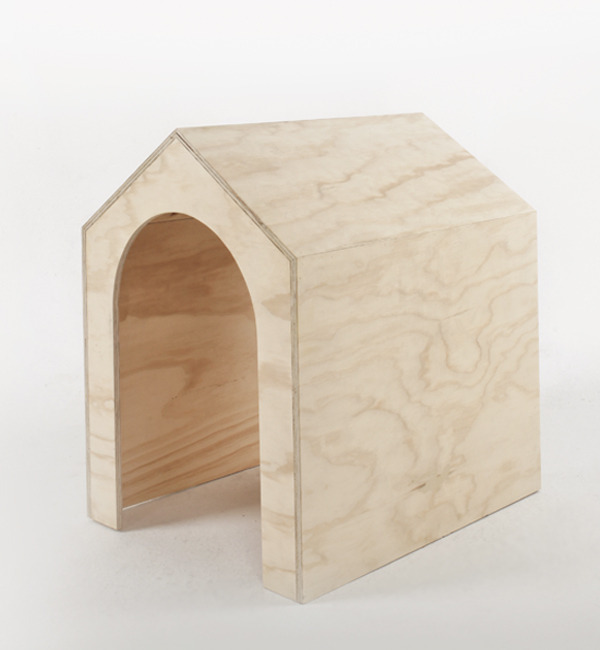 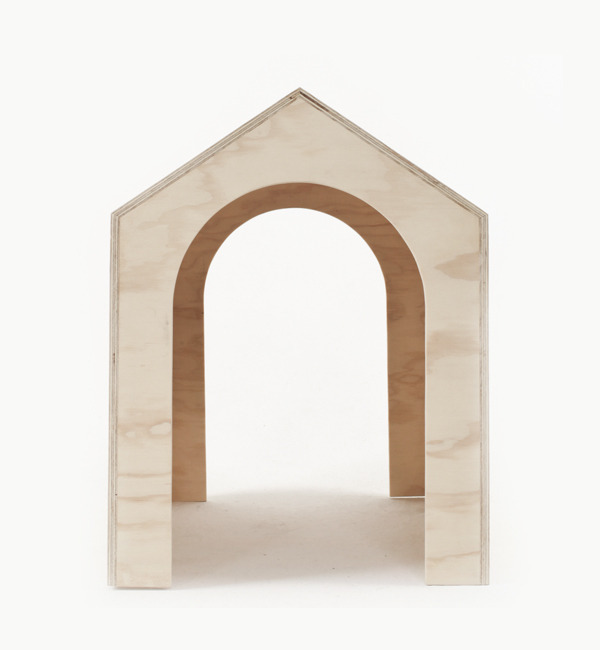 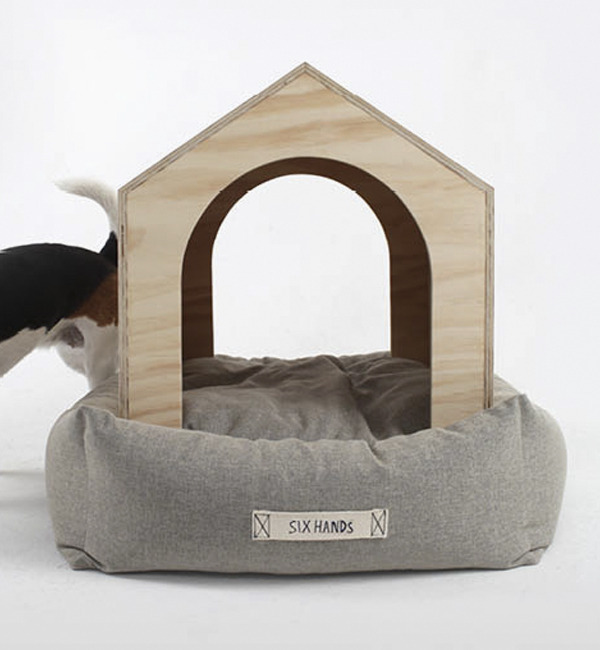 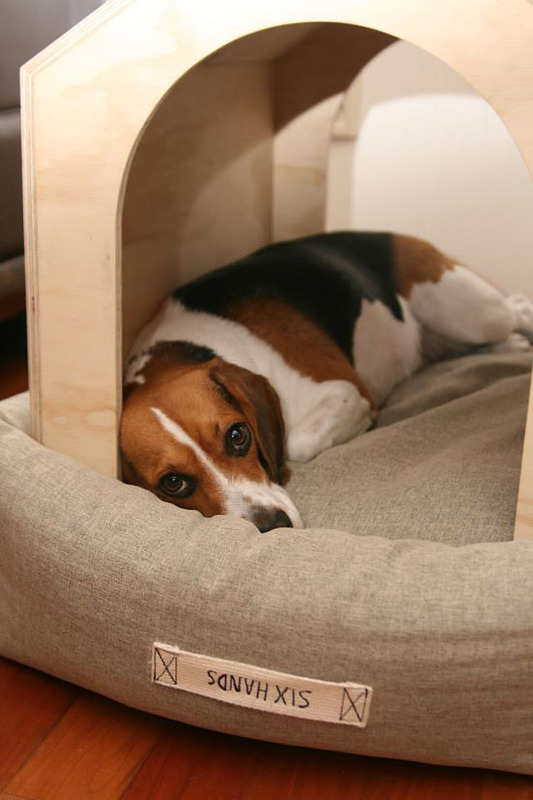 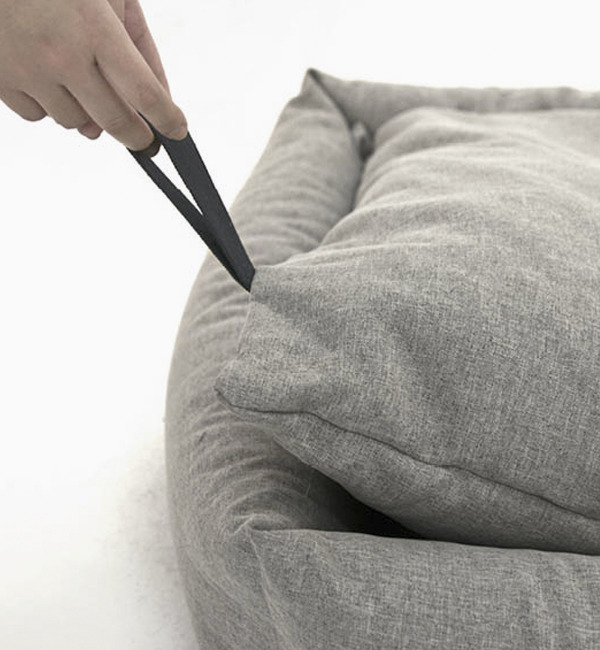 The Six Hands dog house set is a beautiful piece of modern and minimalistic design. 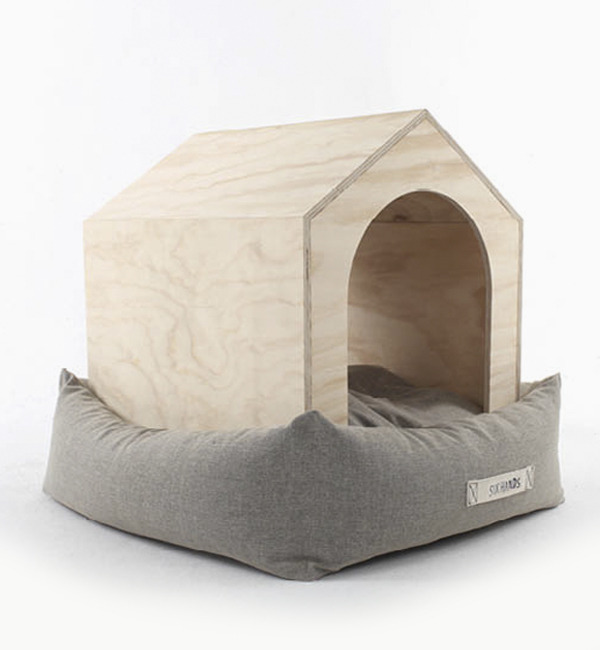 It’s a combination of a shelter that gives your four legged friend a sense of their own space and a comfortable bed to lie and relax on. 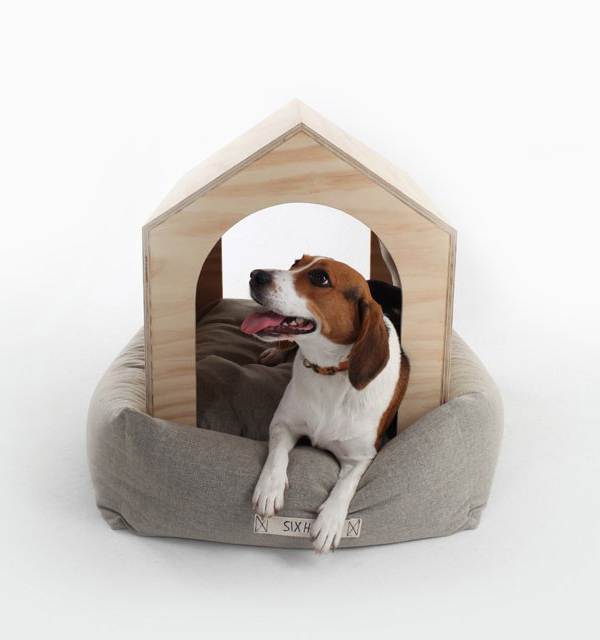 The wooden house or roof is made from Douglas Fir Plywood without any harmful stain or paint and due its size is ideal for small to medium sized pets. 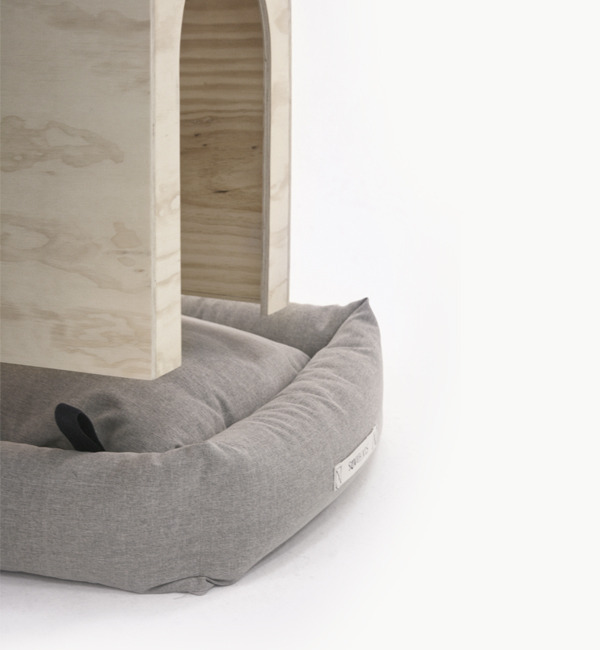 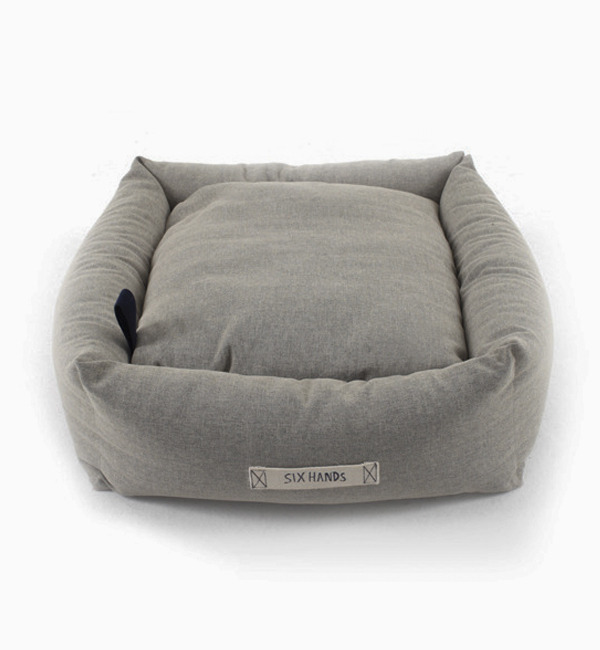 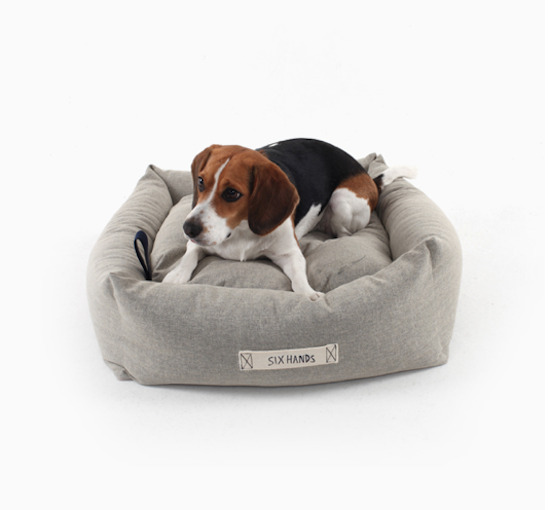 The bed is made from natural cotton canvas and water proof inner cover. 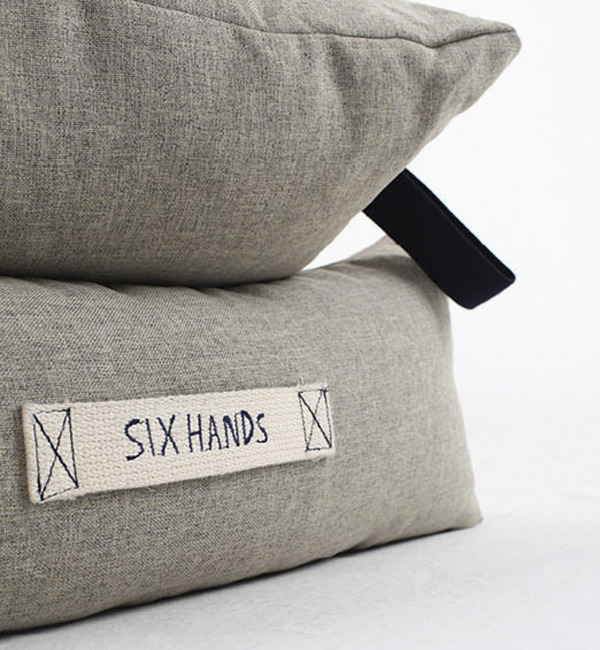 All the pieces are handmade and both pieces can be bought separately. 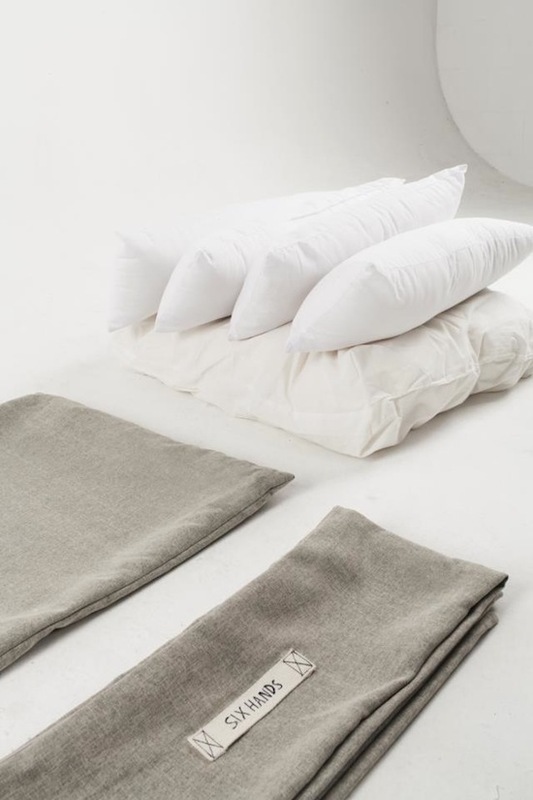 Great set, don’t you think?